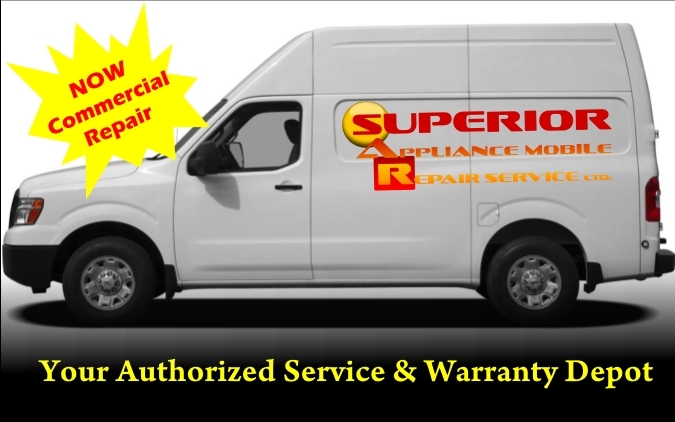 ﻿Superior Appliance Mobile Repair Service Ltd. is the household and commercial appliance repair business that comes to you. Serving the Grande Prairie area, with over eight years of experience, we are superior in customer service and convenience. With our mobile shop always with us, we will save you time and money by bringing the parts, and servicing your appliances in the convenience of your own home. We are continually updating our training and skill levels to match that of the newest technology now available to us in the appliance field. We believe that a high level of customer satisfaction matched with skilled diagnostics and repair is the only formula for success in this ever changing industry. Superior Appliance Mobile Repair Service Ltd.